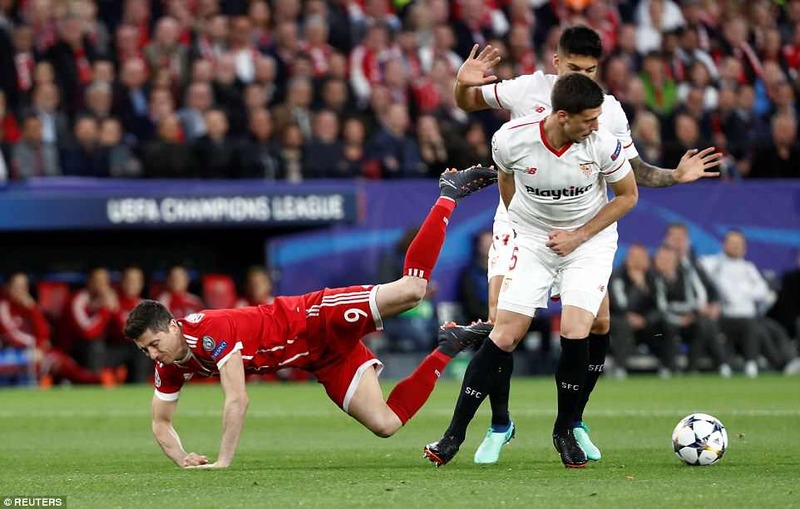 Manchester United’s Champions League conquerors, Sevilla, were their own worst enemy in their first ever quarter-final in the competition as they handed Bayern Munich a huge advantage going into next week’s second leg. 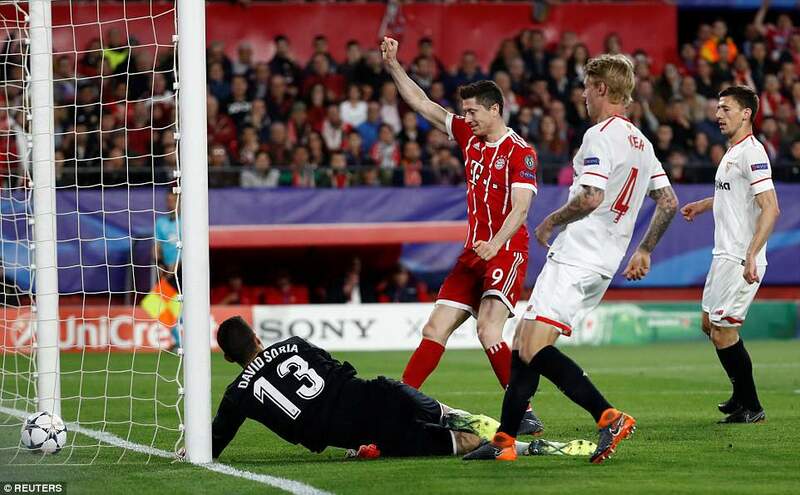 Bayern showed none of the swagger that saw them swipe Borussia Dortmund aside 6-0 at the weekend but they didn’t need to as Sevilla twice diverted shots past their own keeper David Soria in a 2-1 defeat. Soria started in goal instead of the sometimes shaky but habitual first-choice Sergio Rico but he could do nothing about the deflected goals. 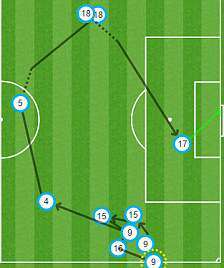 Pablo Sarabia gave Sevilla the lead from Sergio Escudero’s assist. 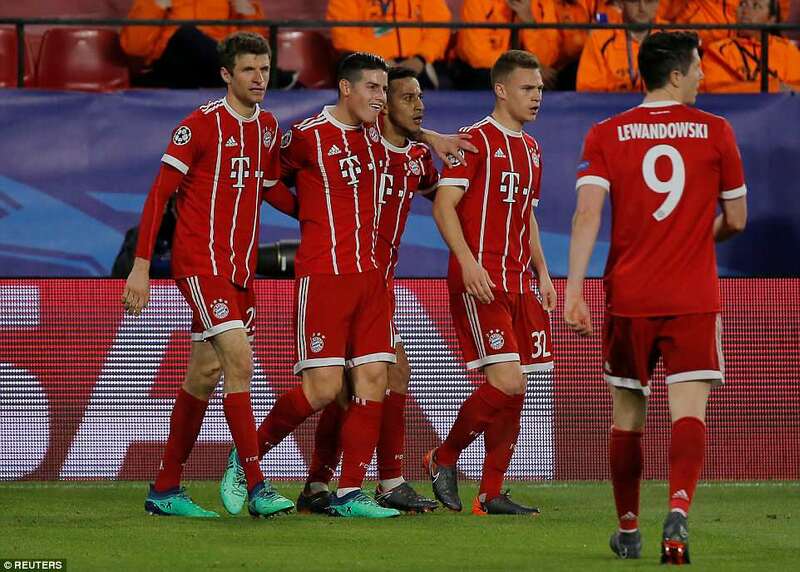 Bayern showed their wealth of talent leaving Arjen Robben and James Rodriguez on the bench. 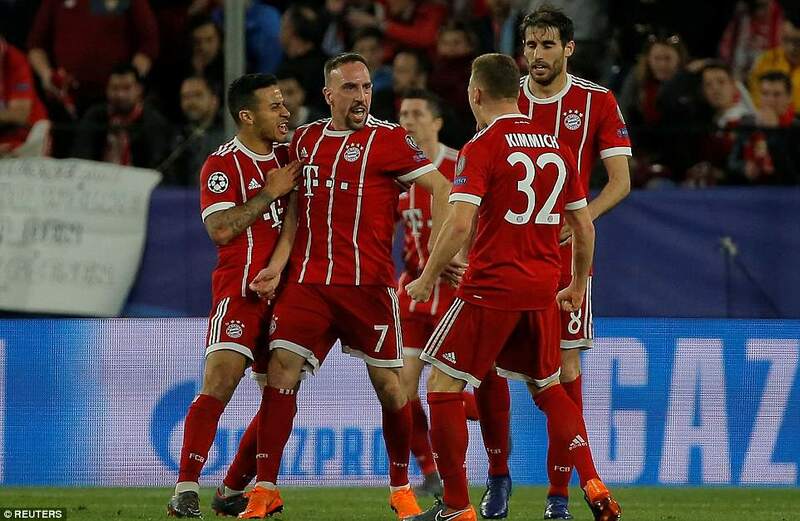 They had 34-year-old Franck Ribery, still young enough to have the No 7 shaved into the side of his head, in the starting XI and he was lively early on although he picked up a booking for bringing down Franco Vazquez. 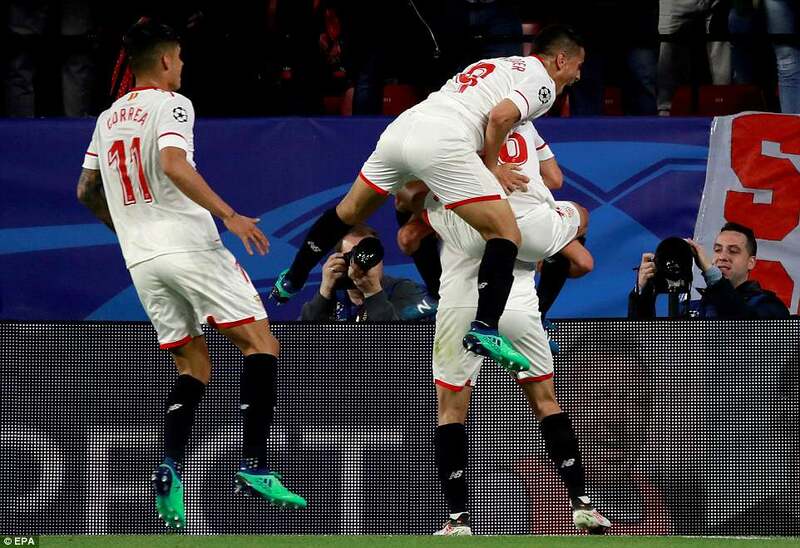 Sevilla started with confidence and when Joaquin Correa took a tumble in the area they thought they had a penalty. 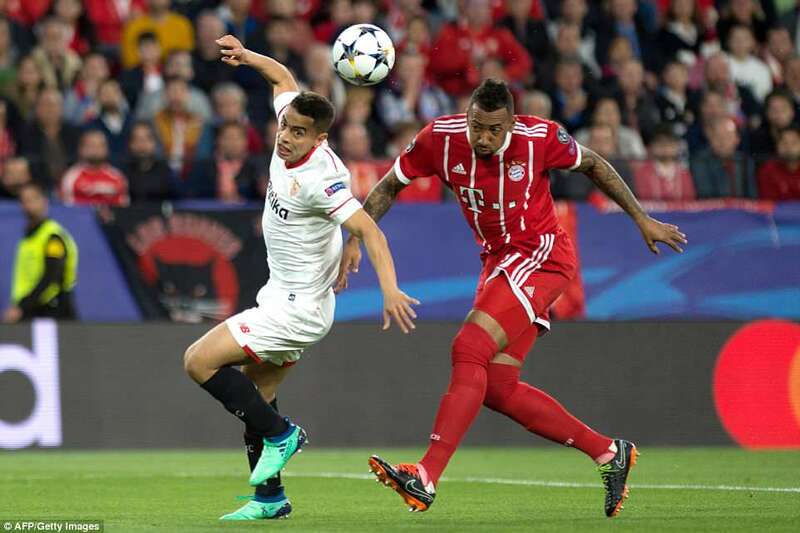 There was the slightest contact from Jerome Boateng but the forward’s dive was exaggerated and he was booked for simulation. Sevilla would be unstoppable if they could finish. Pablo Sarabia put a shot well wide with the goal gaping from Sergio Escudero’s cross with the team’s first chance. 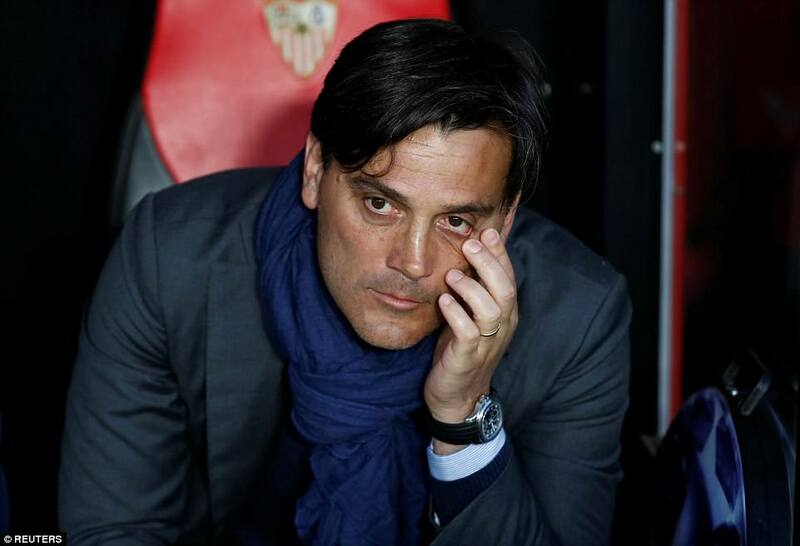 But it was very assured start from Vincenzo Montella’s side and the next chance Sarabia got, he took. Again it was Escudero who crossed and this time Sarabia finished well after getting in front of Juan Bernat. It was his first goal in the Champions League and the already impressive volume cranked up a few more decibels in the Sanchez Pizjuan. 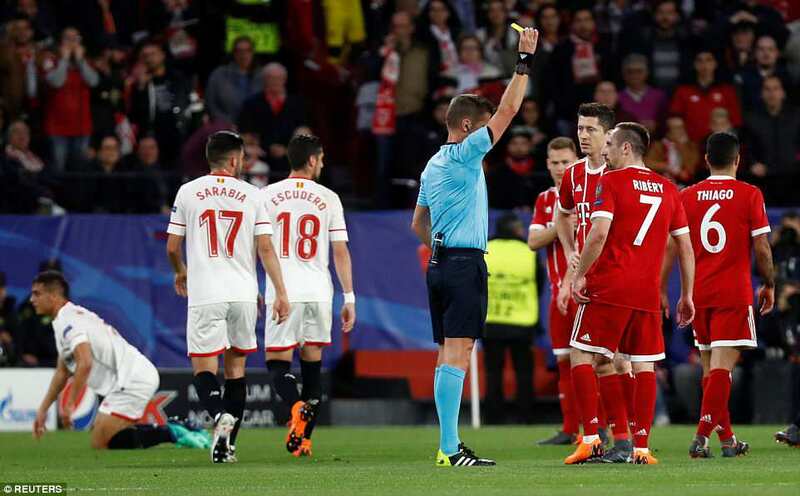 Bayern players complained Sarabia had used an arm to control the ball but the goal stood. 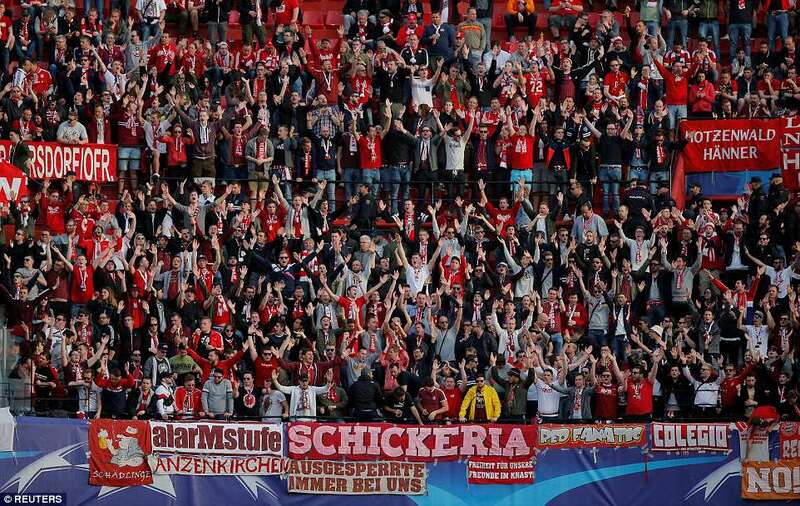 On 35 minutes Bayern were forced into their first change. Arturo Vidal could not carry on and Rodriguez made his entrance. It was his pass out to Ribery that brought the equalizer. Soria was beaten at his near post as right-back Jesus Navas’ outstretched boot diverted Ribery’s cross over the line. It was a huge bucket of cold water over what had been a brilliant first half for the home side. 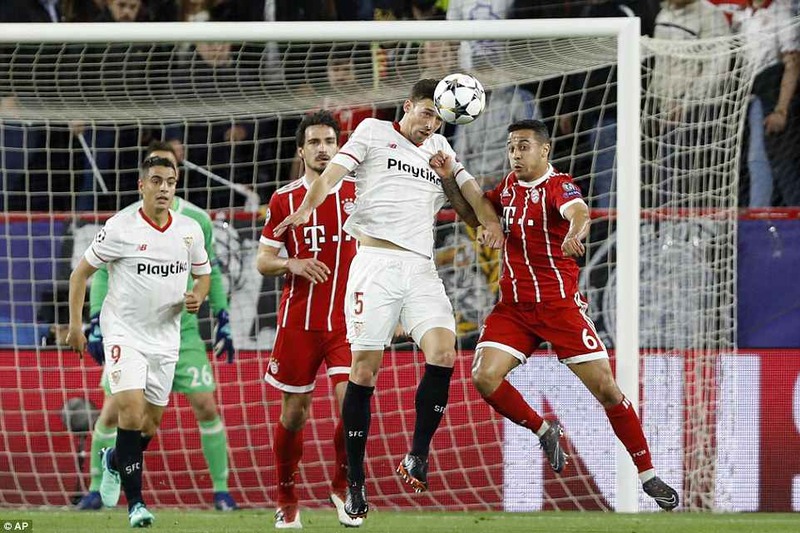 Sevilla started the second half well and only a goal-saving challenge from Javi Martinez stopped Vazquez from finishing a sweeping move involving Wissam Ben Yedder and Correa. 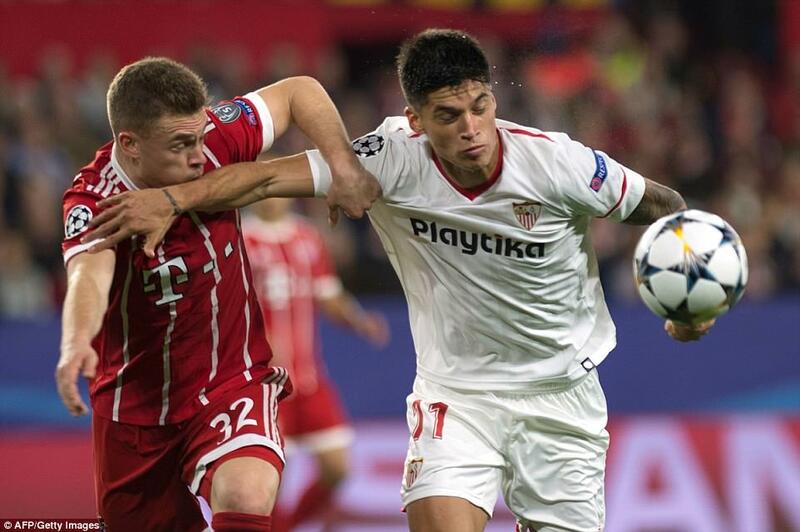 But as the half went on Bayern began to wear the home side down. 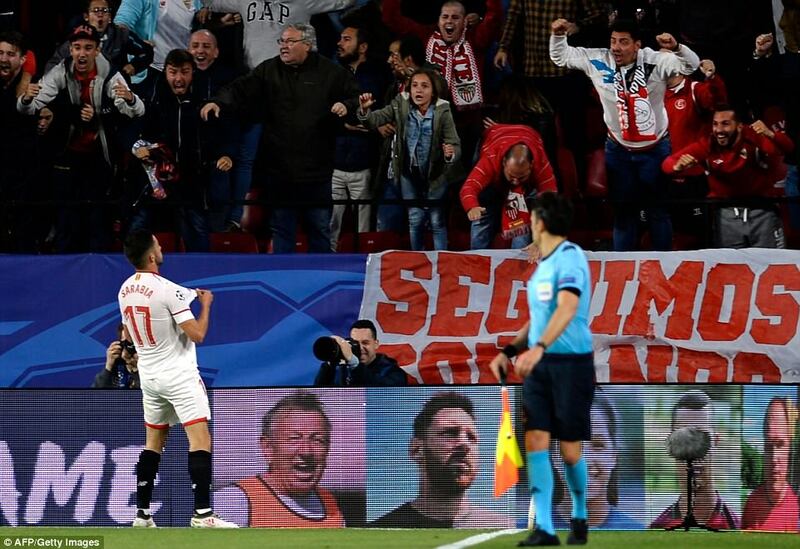 Sevilla looked to be showing the after-effects of a gruelling 2-2 draw with Barcelona at the weekend. And they were missing the ability of the suspended Ever Banega to keep the ball in midfield. With 20 minutes left Bayern should have taken the lead. 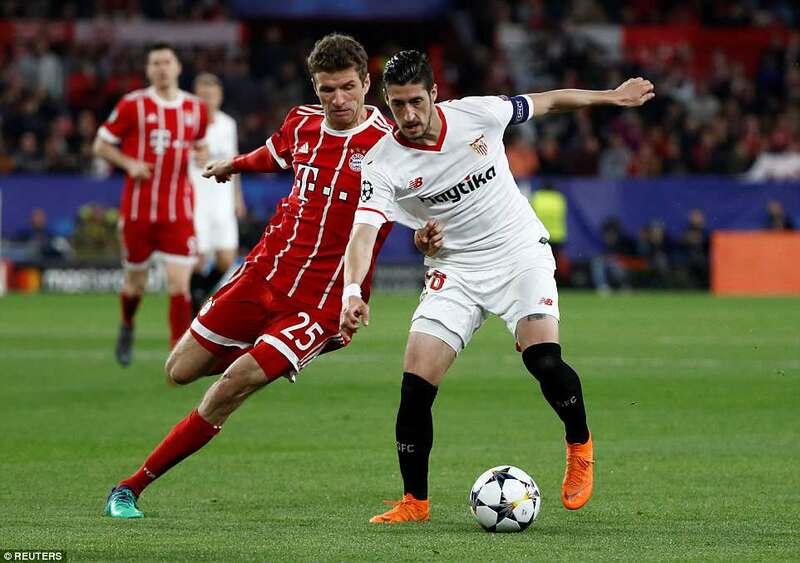 Thomas Muller sprinted down the right and Javi Martinez made good contact with his deep cross but Soria batted the ball away for a corner. But minutes later he was beaten by one of his own players for the second time in the game. 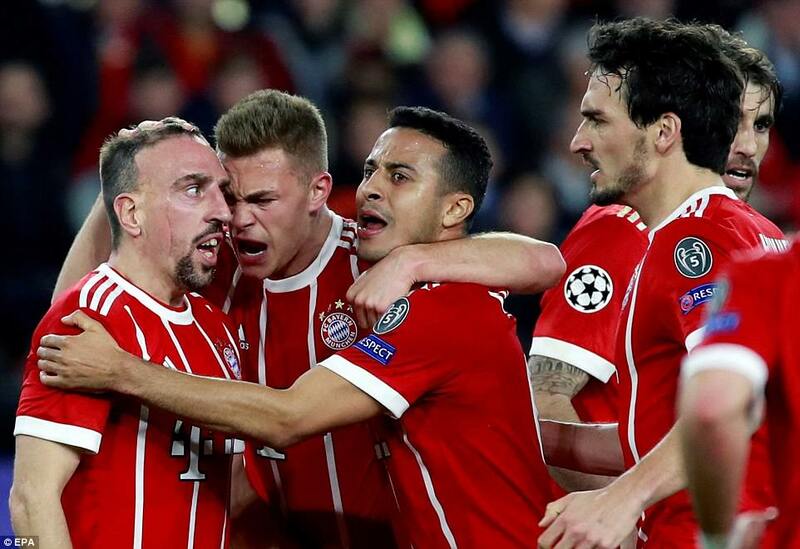 It was Thiago Alcantara who headed Ribery’s cross down towards goal. 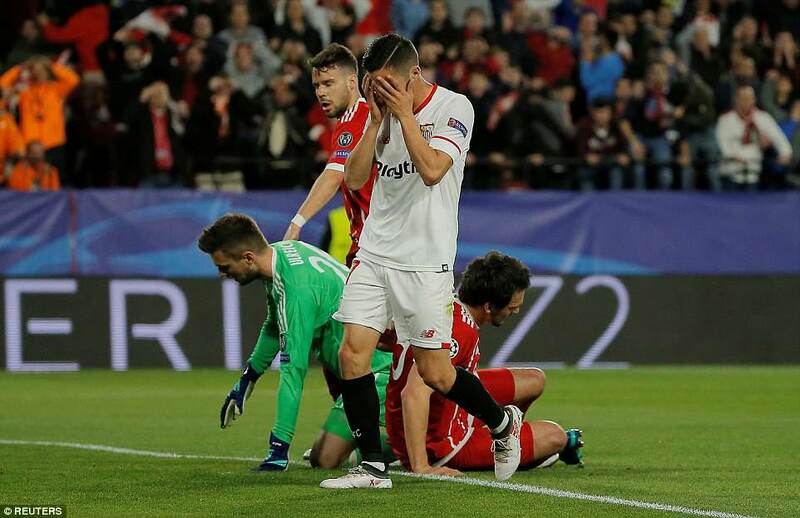 It would have been comfortably scooped up by the Sevilla keeper but when it cannoned off Escudero’s knee he was left wrong-footed and Sevilla were left sliding out of the Champions League.